Paypal adalah salah satu dari sekian banyak perusahaan online yang menyediakan jasa transfer uang melalui internet. Para pengguna internet dapat dengan mudah membeli barang-barang dari internet hanya dengan membayar melalui Paypal. 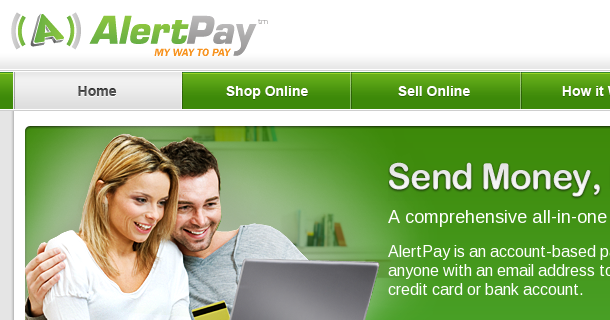 AlertPay adalah layanan internet dalam solusi pembayaran aman online yang didirikan untuk memfasilitasi pembayaran cepat aman antara individu dan bisnis online. 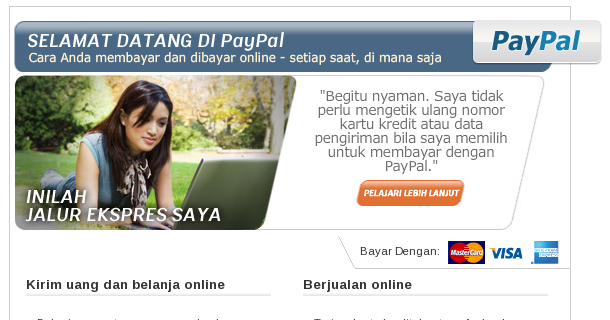 Fungsinya sama seperti PayPal. EasyHits4U adalah suatu situs yang menggunakan program link exchange atau bisa dikatakan pertukaran link secara gratis dengan seluruh user yang sudah terdaftar di EasyHit4U tentunya. Do you ever forget your password when browsing on Mozzila Firefox? Thats problem solving is FirePasswordViewer. 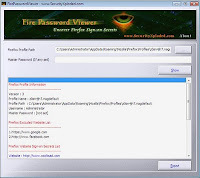 FirePasswordViewer is the GUI version of popular FirePassword tool designed to decrypt sign-on secrets stored by Firefox. Firefox records the login details such as username and password for every website authorized by the user and stores them in the sign-on database file in encrypted format. FirePasswordViewer tool can decrypt and display these secrets on the same lines as the Firefox built-in password manager. The main advantage of FirePasswordViewer is that it does not require Firefox to be running. This is very useful in recovering the sign-on details when Firefox fails to function properly. Do you like watch videos on Youtube? Lets me share about software to download videos from Youtube. YouTube Downloader is a software program that allows you to download videos from YouTube and many others and convert them to other video formats. The program is easy to use, just specify the URL for the video you want to download and click the Ok button! It also allows you to convert downloaded videos for Ipod, Iphone, PSP, Cell Phone, Windows Media, XVid and MP3. You can use YouTube Downloader to download the videos of your choice from home, at the office or in school. Download YouTube Downloader now and get started downloading your favorite videos from YouTube. Lets me give you review about BitDefender Internet Security 2010. BitDefender Internet Security 2010 keeps up the good work this year with an excellent Internet Security suite. They've kept the solid antivirus and malware protection we've come to expect from them, have improved the interface, and added some new noteworthy features, too. The firewall software compontent is strong and easily managed by the novice or advanced user. A software firewall is a vital first line of defense in any Internet security suite. Spyware and adware detection and protection wasn't quite as good as we'd hoped, but it should still do the job for most people. The user interface has been modernized for 2010, with BitDefender taking a strategy similar to many other antivirus firewall software vendors and providing Novice, Intermediate, or Expert settings. We usually feel like these settings aren't done well, but in BitDefender's case, we feel like they got the settings right. I will share about iPhone info. The important records of most people's lives are too often hard to find when you need them. Some are on paper, scattered in folders, drawers or boxes in homes and offices. Others are in digital files on one or more computers. For years, there have been software programs and Web sites that try to corral portions of this information. Some of these digital products offer to organize your online IDs and passwords. Others focus on financial, health, or other information. But a couple of relatively new products aim to digitally collect your important data in all these categories in one easy-to-access place: either on your computer or on the Web. One is Orggit, launched last fall by a Chicago-based company called Morgan Street Document Systems. The other is InformationSafe, launched in January by New York company Ascend Partnerships. Hy! still with my english post. Microsoft — the company we all love to hate — is turning over a new leaf. This is true, at least, with its latest iteration of Internet Explorer, the company’s web browser. IE — if you’ve already forgotten — was once a great web browser in the mid-90s, usurping the spot of the dominant browser of that decade: Netscape Navigator. The browser was a market innovator once. IE9, by the way it’s looking right now, is a vast improvement to the browsers Microsoft has been putting out as of late. At the risk of being completely alienated by my fellow developers, who — like me — have fostered a gut instinct reaction to stand on guard and be ready to attack whenever we hear the words "Microsoft" or "Internet Explorer", I’d like to highlight a handful of things that the company is finally doing right with their browser. Hello blogger friends? Are you fine at to day? Lets me give a important info. Kaspersky brings a new and improved antivirus software to the table this year. As with previous versions, Kaspersky Antivirus 2010 is a powerful, dependable antivirus and antispyware application. During our testing, Kaspersky Anti-Virus 2010 performed extremely well with only a few deficiencies. We're very pleased to see that Kaspersky continues year after year to produce one of the best antivirus software options on the market today. The core antivirus and antispyware features scored very high in our tests, and there was only one area that needs real attention. Me with my post English again friends! Here is, Adobe Photoshop can be used not only to manipulate photos or images. 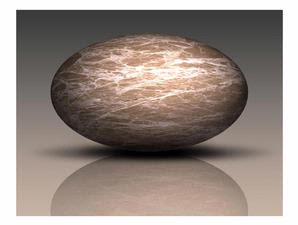 In CS4 Extended editions, this application also provides facility to create three-dimensional images (3D). Although simple, the results are quite ciamik as well as practical use. Some ready-made 3D shapes, ranging from the form of boxes, balls, donuts, so you can use canned. You can choose a photo, click a few options, 3D images can be instantly created. Portable hard drive we meet increasingly plural. From one brand alone, the model can be diverse. Data storage that can be carried is usually included USB 2.0 connection, but there are already some who presents the most recent connection: USB 3.0. Among those still using Silicon Power USB 2.0 is the A50. 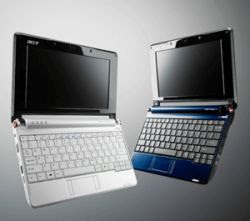 If judging specifications, A50 is identical to his brother who we have tested, A10. Both use hard drive 2.5 "5400rpm spin. Later we will see whether the performance is also similar. A few years ago probably still sound familiar Acer name in the ear. Now, the Taiwanese computer makers are increasingly showing its fangs, the second largest in the world's computer market share. For the first time Acer sitting in second position within three months, shifting the position of the previously entrenched rival Dell in the ratings. 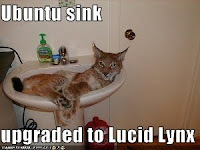 Canonical has announced the official release of Ubuntu 10.04, codenamed Lucid Lynx. After six months of development, the stealthy cat has emerged from the jungle and is ready to leap onto users' desktops. The new version of the popular Linux distribution delivers a visual refresh, updated software, and a number of noteworthy new features. Ubuntu 10.04 is a long-term support (LTS) release, which means that its users will receive package updates for an extended period of time. Typical Ubuntu versions get 18 months of updates, but LTS releases are supported for three years on desktop computers and five years on servers. Dapatkan kiriman artikel terbaru blog ini langsung ke email anda gratis! Cara Merayakan Ulang Tahun Sendirian, Tetap Seru dan Berkesan!